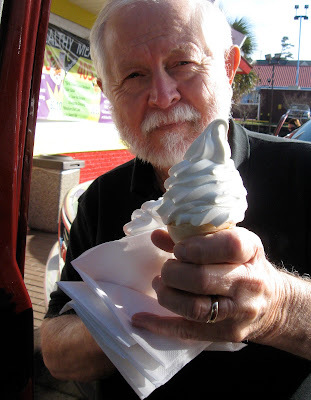 My husband Walter loves to travel, but one effect of my April 2011 stroke has been to limit our usual jaunts, both the long weekend variety and trips of a week or more. But hubby got us back into the swing of travel, sort of, in January on the Sunday and Monday of the Martin Luther King holiday (or celebrating Robert E. Lee’s birthday if that is one’s inclination). 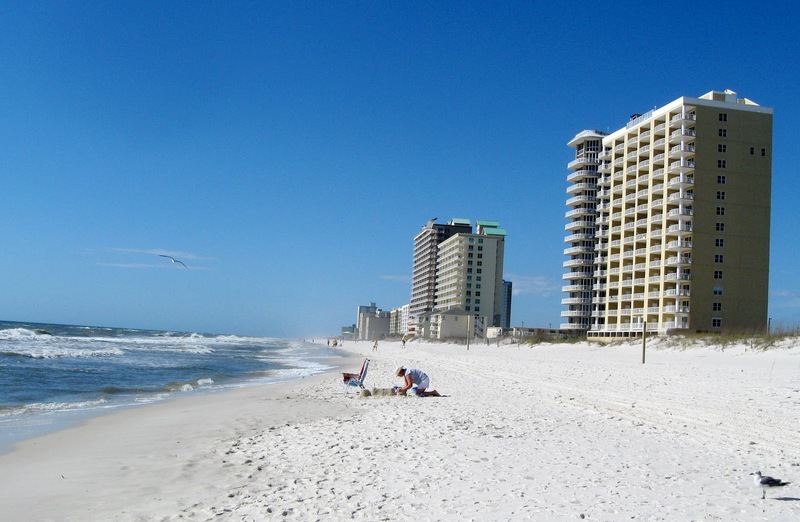 Our pleasures are usually simple and the overnighter to Alabama’s coast and “sugar sand” beaches along the Gulf of Mexico was no exception. Here are a few that made the trip memorable for me. Husband Walter treats us to soft-serve ice cream cones on a warm afternoon. 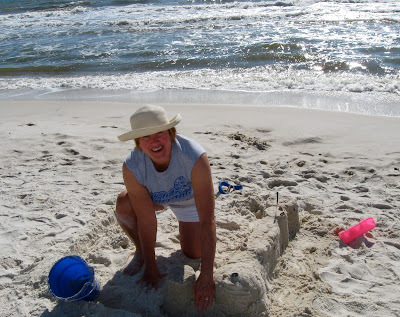 Lulu is the sister of singer, songwriter, author, entrepreneur and free spirit Jimmy Buffett. Her restaurant is a large and casual establishment at the Homeport Marina in Gulf Shores, AL. We arrived as the sun slipped below the horizon, and the festive vibe of Lulu’s surrounded us in the large parking lot with palm trees, lights, a separate whimsical-looking gift shop and the engaging combo of Alabama country and beach casual before we even made it to the entry. Husband Walter’s photos on his travel blog here capture Lulu’s and the rest of our trip better than mine do. But that won’t stop me from posting my own photographic record of good times. Once we were seated, the delightful young lady who took our order was gracious and cheerful as I asked could they leave this and that out of the salad I ordered and add the other so I could be compliant to the low-sodium directive that is now a facet of my post-stroke life. The salad was delicious, filling and ranked an extra high score on my picky, picky, picky freshometer. The atmosphere was congenial. There were families and groups of all sizes and a buzz of happy conversation that even muted the protests of an outraged toddler exercising his or her freedom of expression somewhere beyond my sight. 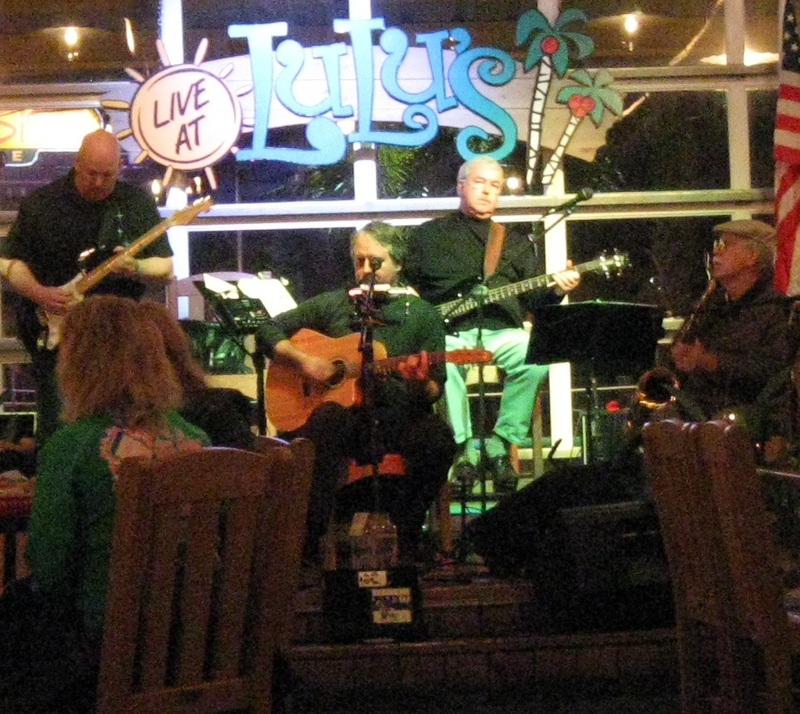 Live music was enjoyable, not ear-injuring. I didn’t have the luxury of walking to a better position to photograph the band under the neon Lulu’s sign. The image above was my effort with my point-and shoot’s telephoto setting. I was able to hold it fairly still by setting the camera on our table. The next day we toured around the state park just east of Gulf Shores, checking out the cabins, campground and, of course, the empty beach where the park’s motel units, small convention center and restaurant used to be before Hurricane Ivan’s destruction. Husband Walter and I are nostalgic about that site. We enjoyed numerous wintertime getaways there. The rooms were dated but clean and less than luxurious. But the sliding glass doors all the way across the south wall opened to the glorious sounds of surf and views of the Gulf, and that was luxury to us. On this trip we also checked out the variety of attractive cottages on the west side of town and ended our visit with a walk on the beach. 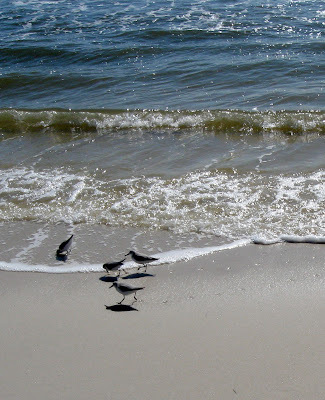 The fresh breeze off the Gulf, shorebirds and open, uncrowded vistas were an effective catalyst for soaring spirits. 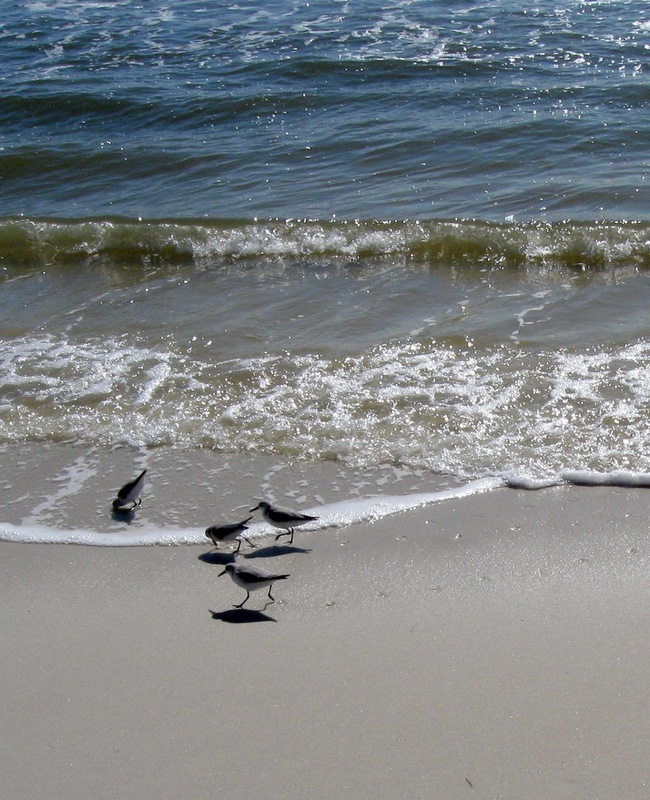 Small shorebirds dart after tiny critters in a surf smorgasbord. I enjoyed chatting with this just retired second-grade teacher from Illinois. 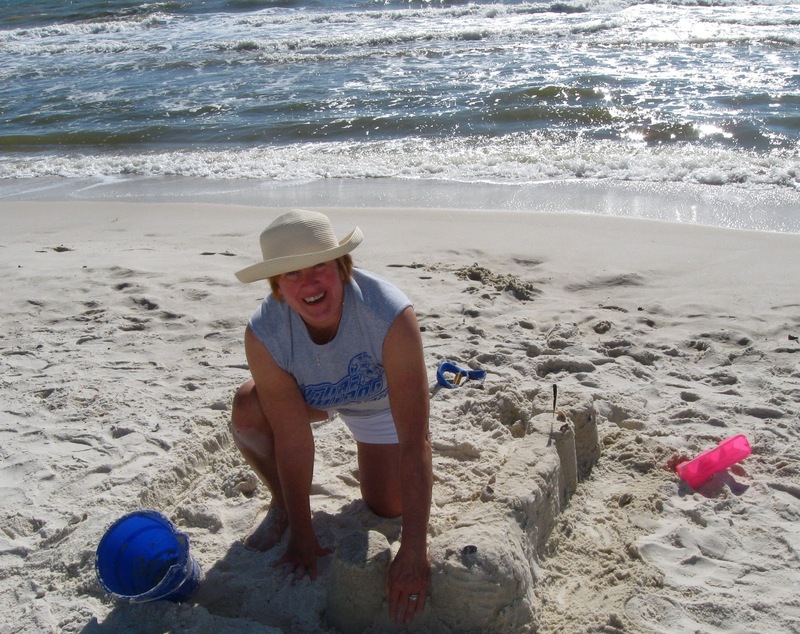 She was spending her first month of retirement in Gulf Shores and said she was enjoying every minute. She planned to return home the last day of January and finish out the school year substituting for a fellow teacher. She was also a good sport about my taking her photo. The only downside was walking in the softer sand away from the water. There definitely was some extreme stretching of all my left ankle’s moving parts, although not all of mine actually move yet. It took several weeks of babying my ankle before it stopped hurting. Since then my physical therapist insisted I shed the athletic shoes I was wearing and buy some with more ankle and arch support. She informed me that well-worn shoes are no longer an option. “Your days of wearing old shoes are over,” she said. Now who could complain about that: an official mandate to go shoe shopping! You make me feel as if I have joined in your trip away - many thanks. Oh and do enjoy the shoe shopping. So glad you got to do some beach walking and how cool that the beach was all yours, cept for one friendly school teacher. Did not know about Jimmy Buffett's sister. Too bad he didn't stop in to visit while you were there. I do love that beach bum. What a delightful trip that must have been. 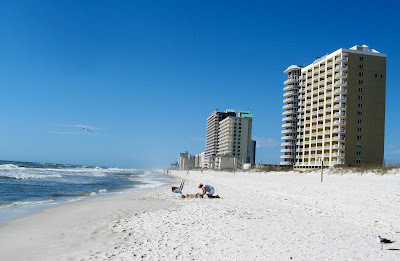 Getting out and doing things with your sweet Hubby is the perscription to health and wholeness. Well, it is good that this served as a sort of warning about your shoes before something worse might have happened! I didn't know about Lulu. 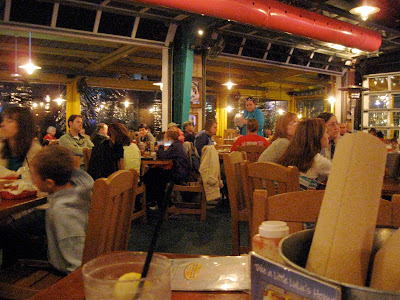 We have Jimmy Buffet's "Cheeseburger In Paradise" restaurant here. This sounds like a wonderful place to visit. Your photos are really neat. I'm glad you had some time to visit the beach. Lovely photos and commentary. David and I had lunch at Jimmy Buffett's restaurant in Waikiki a couple of years ago. I think we had the ribs, which were delicious. We sat in the covered patio near the swimming pool. It was very relaxing.